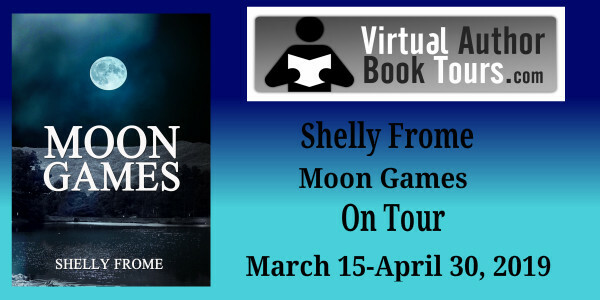 Today, I am honored to participate in the virtual book blog tour for Moon Games, the latest thriller by author Shelly Frome. 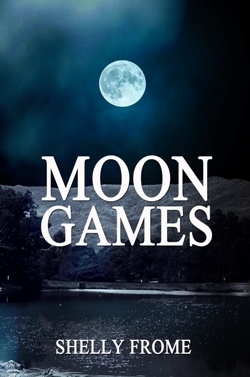 Moon Games is a suspense novel about a missing college co-ed and a most unlikely amateur detective who eventually becomes deeply involved in finding a possible kidnap victim that nobody else knows or cares has disappeared. The book is set in the rugged Appalachian Mountain region near the author’s hometown of Black Mountain, NC, an area that provides a fitting backdrop for the novel’s climax. When I agreed to take part in this blog tour, one of the things that most impressed me about Shelly Frome was the fact that, in addition to being a novelist, he is also a screenwriter who has written a how-to guide for aspiring screenwriters. In reading Moon Games, I soon realized that the book has definite movie potential, perhaps with a script by the author himself. So, instead of my simply providing a review for Moon Games, I asked Frome to expound on his experiences in both fields of writing. Most people know that the art and craft of creating a screenplay are considerably different from those involved in writing a novel. But, surprisingly, as Frome notes below, in his case, at least, there are more similarities than you might think. Moon Games is published by Milford House Press. You can buy Moon Games in paperback or Kindle on Amazon. My thanks to Shelly Frome and to Teddy Rose of Virtual Author Book Tours. Though it’s never been spelled out, my editor at the publishing house and I have a tacit understanding there’s always something filmic at play in crime fiction. Along with everything else, it’s as if some imaginary cameraman looks for something to shoot--zooming in, opting for a tracking shot, taking in the entire scene with a wide angle lens, etc. In other words, when I pull back as a narrator at an inopportune time, I’m given advice to bring this moment to life instead. For example, in the latest draft of a work in progress, there was a point where I summed up a long-lost cousin’s predicament by simply stating that Miranda underscored the situation one last time. As Skip sat there in stunned silence, she couldn’t help but notice a white compact pulling in a few rows back of the entrance to the ER. It could very well have been that selfsame Toyota Corolla. The only cinematic justification the editor ever gave was an occasional “given your background” (theater and film), “your genre” and/or “your style” (self-generating). By and large, what’s gratifying about this approach is the eventual feedback I’ve received from readers. During this virtual book tour of Moon Games, the first reviewer was taken by “so much going on.” She felt she had to keep alert, like a moviegoer who didn’t want to slip out to the concession stand and miss something. Upon reaching the twisty climax, she said she was happy she stuck with it. Moreover, if you consider the link between novels and film, it’s remarkable to what lengths producers and writers will go in order to bring a work of fiction to the screen. Take for instance British best-seller Kate Atkinson’s Case Histories. In the novel, there is page upon page devoted to passive P.I. Jackson Brodie’s reveries and musings about his past, relationships that fizzled, cases that are thrust upon him which he only somewhat attends to and then ponders over. Somehow, even though Atkinson protested, claiming she had no aptitude for plotting or a sense of drive, she was prevailed upon to serve as a consultant for a screen adaptation. In turn, three female writers and a male created a script that forced a reluctant Jackson Brodie to get with it and take on these cases that involved a wife’s unsolved murder, the disappearance of a baby sibling long ago, and so forth. All in all, there are too many variations on this theme to count. Lastly, just consider the time iconic screenwriter William Goldman grappled with David Baldaccci’s novel Absolute Power centering on the cover-up of a horrific crime committed by a U.S. president. Goldman ultimately decided to focus on a thief who witnessed the crime and spun the story from that more promising point of view. Shelly Frome has written several crime novels and books on theater and film, as well as over 25 plays, and is a member of the Mystery Writers of America. Shelly is also a professor of dramatic arts emeritus at the University of Connecticut and a former professional actor. 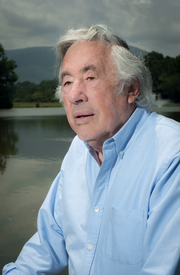 A frequent contributor of articles on all facets of creative writing and acting, Shelly appears in numerous periodicals, including Southern Writers Magazine where he is the film columnist, and is a monthly columnist for Gannett Media. He lives in Black Mountain, North Carolina. Shelly’s fiction includes his current novel, Moon Games, as well as Sun Dance for Andy Horn, Lilac Moon, Twilight of the Drifter, The Twinning Murders, Tinseltown Riff, and Murder Run. Among his works of nonfiction are The Actors Studio and texts on The Art and Craft of Screenwriting and writing for the stage.